Tom Harsh joined FWP in early 2000. He began his career in commercial real estate in 1974 after graduating with honors in business from Eastern Washington University in 1974. After a successful career as a commercial broker in Spokane, Tom and his family moved to the Seattle area in 1988 where he joined Kidder Mathews and Segner as the only broke at KMS, at that time specializing in retail. 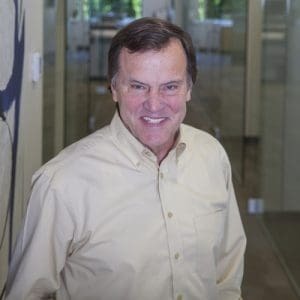 Throughout his career Tom has focused his career in retail site selection for local and national companies such as Burger King, McDonald’s, Blockbuster Video, Albertsons, Les Schwab, Pizza Hut, and 7-11. A recent significant transaction included assisting TRF Pacific development in the assemblage of land for the new Sammamish Village mixed use project which included Metropolitan Market. First Western Properties has been and continues to be a perfect fit for him as, as he is still active with clients and enjoying semi-retirement. First Western has an exemplary reputation in retail sales and leasing which has served him and the company well. After 46 years of marriage to his wife Gail, they are thoroughly enjoying their son David and daughter Kayti, five granddaughters, and their families. His favorite hobby is travel to tropical climates and fly fish for saltwater fish, particularly bonefish.